The breathtaking sequel to the acclaimed The Girl from Everywhere. Nix has spent her whole life journeying to places both real and imagined aboard her time-traveling father’s ship. And now it’s finally time for her to take the helm. Her future lies bright before her—until she learns that she is destined to lose the one she loves. 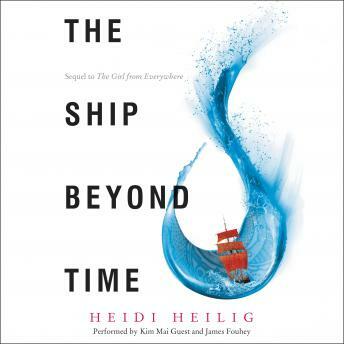 Desperate to change her fate, Nix sails her crew to a mythical utopia to meet another Navigator who promises to teach her how to manipulate time. But everything in this utopia is constantly changing, and nothing is what it seems. Not even her relationship with Kash: best friend, thief, charmer extraordinaire. Heidi Heilig weaves fantasy, history, and romance together to tackle questions of free will, fate, and what it means to love another person. At the center of this adventure are extraordinary, complicated, and multicultural characters who leap off the page, and an intricate, recognizable world that has no bounds. This sequel—and conclusion—to The Girl from Everywhere includes five black-and-white maps of historical and mythical locations. Fans of Leigh Bardugo, Sabaa Tahir, and Outlander will be swept away.